One of the most notorious items in the FF canon, forever to be known as "The Roger Corman Fantastic Four Movie" as he was one of the two Executive Producers. The film was never released for reasons still shrouded in myth to this day, but what's clear is that all involved believed they were making a movie that would be released, with theatrical trailers even reaching cinema screens. Stan Lee was drawn to speak about it during the publicity for Spider-Man 2 (2004), stating that Constantin were under contract to begin principle photography on a Fantastic Four project otherwise their purchased rights would expire. The resulting Corman work was compiled in a short space of time with a minimal $1.4m budget and locked away, with no serious intent of it being the real film. Yet speculation still abounds: why go to the trouble to complete an entire picture just for it to be locked in a vault? Was this an attempt at a finished product, only for Marvel to angrily veto it due to lack of quality? One common suggestion is that it was to deter any other company buying up the rights, knowing there was an inferior product potentially in the marketplace. Such a statement seems illogical, but claims are made that Corman had done a deal, with the full intention the film would never be released. Corman, for his part, said in an interview that he was asked to make the film by Constantin Executive Director Bernd Eichinger, and had every intention of seeing the movie released, even if the low budget meant a straight to VHS issue. After Eichinger received a bigger offer from 20th Century Fox (which eventually lead to the 2005 movie), the budget for this first attempt was added to the cost and the expense Corman had laid out was returned to him. There are so many differing accounts and viewpoints that the full truth behind events will perhaps never be uncovered, yet the number of bootlegs in the market mean the movie has been widely seen, and consistently panned. This is the final surprise in that, while clearly vastly underbudgeted, The Fantastic Four really isn't as bad as its reputation would attest. The tone of the movie seems to not know whether to play things for campy laughs or straight recreation, but a commendable attempt is made within the financial constraints to produce something nearly worthwhile. Production on the film began in December 1992 and was filmed over just 18 days, and it's demanding the impossible to be expecting a first class movie on those terms. In fact, with such extreme limitations, it's amazing that the final product is as good as it is. 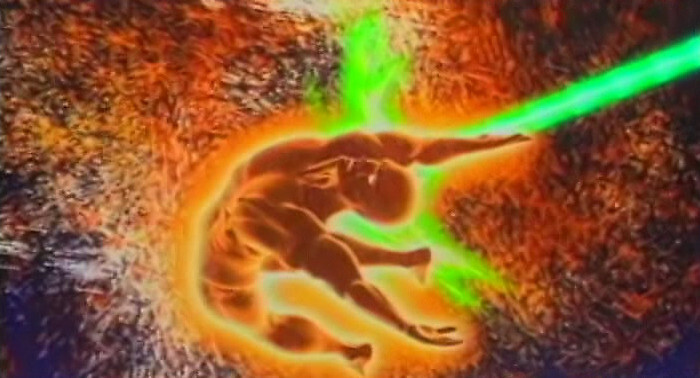 One thing the film does have going for it is that out of all the attempts at a Fantastic Four movie, it's by far the most faithful to the source. In fact, for the first 20 minutes or so, it presents us with the best attempt of an FF movie out of all of them, cloying incidental music aside. 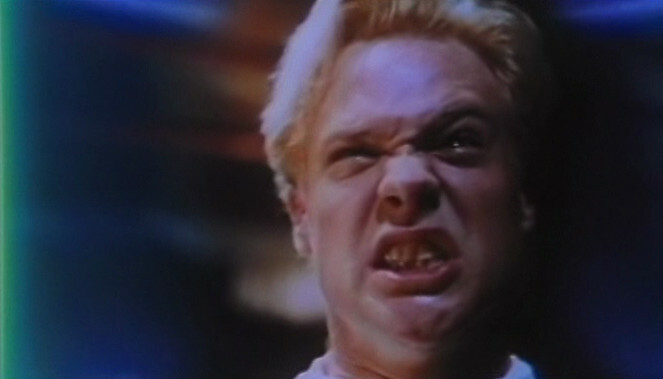 It's only when the group get their powers that it starts to go downhill, as not only is the budget clearly not up to it, but Jay Underwood as Johnny suddenly decides that the only way forward is to overact. This is not necessarily a criticism, as Underwood's joyful abandon is the best thing in the entire movie, a true delight of playing it to the max, but it does make it a different film to that which came before. Director Oley Sassone's argument that "it's a comic book" is, to a point, valid, but those opening moments are so earnest it does seem somewhat of a shame that it decides to take a different course. There's bad stuff in the movie, which gives it the lowest rating for an FF film on this site, even though it's probably the most likeable and genuinely charming of all four. Most of the bad stuff comes down to elements that can easily be replaced for a special revised edition - the exceptionally weak special effects, a POV shot from the blind Alicia and the cloying music score. In fact, it almost seems churlish to knock the music, as the soundtrack composers David and Eric Wurst worked for free when they discovered there wasn't the money available for a score. The special effects, which director Oley Sassone states he regarded as a kind of "placeholder" rough guide for how the movie should look, are a low point, yet extraordinary given such a low budget. Even Sassone slates the climactic sequence with the Human Torch, noting that "It's terrible... we just didn't have the money". The Thing suit, while clearly still constrained by the lack of cash, is actually quite impressive for the budget, and looks far more like the comic book character than the Chiklis version. While Michael Bailey Smith dubs the voice, stuntman Carl Ciarfalio wears the suit, which does detract given that he's notably at least 2-3 inches shorter than Smith. Most hilarious of all are the shots with Reed's stretching arms, which are never convincing. The Fantastic Four costumes don't actually look that bad, but the huge "4" insignias do spoil the effect. Better is the costume on Doctor Doom, the only Fantastic Four film to date that's been earnest enough to present him as he actually looked in the comics. Ultimately it's a below-par movie with some highly questionable acting choices that nevertheless makes you want to root for it, despite it all. There's a kind of charm and love in the frames of a film that never really had a chance, but at least tried. Hopefully this has been an even-handed and fair review, as Oley Sassone, while proud yet humble about the movie, has little time for internet detractors. On a commentary track he spoke of those deriding it with: "who the f*** are they? You don't get it for saying it. Couple of miserable little losers sittng in their mother's basement at home, y'know? Eatng Dorritos all day long. [...] We made this film for kids. Teenagers and anybody who wanted to se it, but not these jaded, you know, whatever..."
Doomed: The Untold Story of Roger Corman's "The Fantastic Four" is a feature-length documentary on the making of the film and its lack of release, due to be released at the end of 2016. 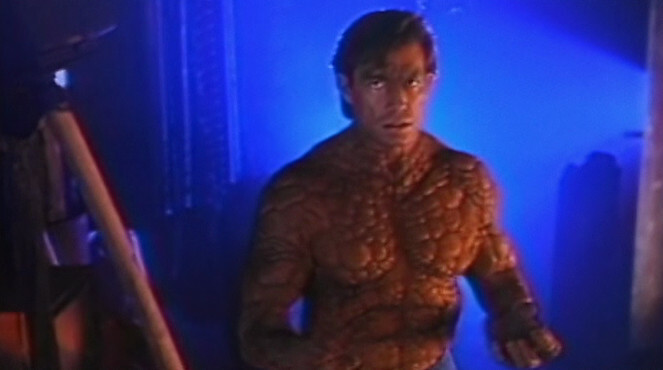 The Thing... and "Benjy Grimm".